The sound of the world’s tiniest violins was heard across the capital yesterday as Shona McCarthy, the head of the Edinburgh Festival Fringe warned that a campaign targeting poor treatment of workers in venues is threatening the event’s future. McCarthy insisted that demands for all Fringe producers and venues to pay workers the Living Wage were “unrealistic” and pleaded that it was “simply untrue” to suggest it was a huge commercial event. It seems the CEO of the Fringe is saying that some major companies just can’t pay a decent wage, and it’s her job to attack – not exploitative companies – but trade unionists protecting low-paid workers. That’s incredible. All of which is true, but it also brings into question the why its the appropriate role of Shona McCarthy to attack trade unionists. The festival has faced accusation of exploitative practices for years. Damning allegations include health and safety violations, illegal working hours and pay disputes. In 2017 Vice reported one worker complaining: “Because we signed a volunteer contract, they could simply pay us £200 for the five to six week period and no one could complain about that working out to maybe 60p an hour,” while others told stories of “being put up in flats with major pest control problems, several people to a room” or “continuously told off for having drinks or sitting down, despite it being over the legal temperature limit indoors”. In January of this year the Fair Fringe campaign singled out C Venues, one of the biggest producers, accusing it of imposing poor conditions on workers and paying them as little as £200 for the entire Fringe run, and demanding the Fringe Society ban C Venues over “an unacceptable model built on exploitation, underpayment and overworked staff”. Last year the Evening News reported the company being accused of paying “sweatshop” wages of just 50 pence an hour – which led to calls for the company to be barred from taking part. But it will be McCarthy’s claim that the festival isn’t a “huge commercial event” that will stun many. Whilst the mythology of the festival is all around Richard Demarco and the early Traverse, the reality is big business. C venues limited is exempt from publishing a full audit because it makes less than £10million. It’s registered in England as company number 2816693. Assembly – is chaired by Luke Johnson of Pizza Express founder, Patisserie Valerie fame. His net worth in 2015 was £220 million. 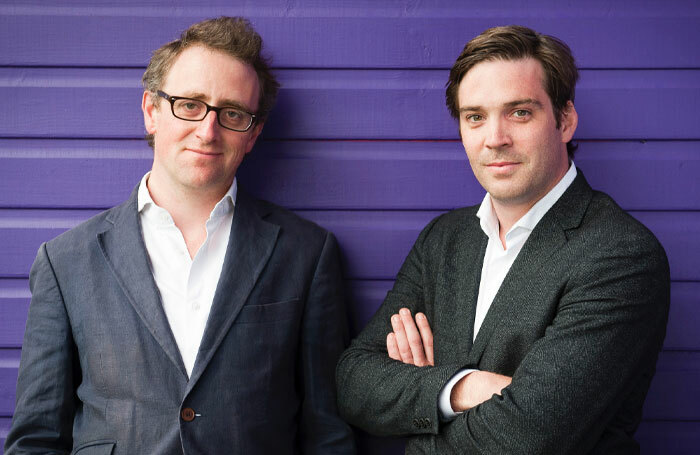 Underbelly’s Ed Bartlam and Charlie Wood first visited Edinburgh on a school trip with Eton, and Baillie Gifford who sponsor the Book Festival own around a fifth of Tesla, making it that company’s fourth biggest share-holder, with a stake worth circa $4bn. Bartlam and Wood now shift over 283,000 tickets at the fringe, at 17 different venues. 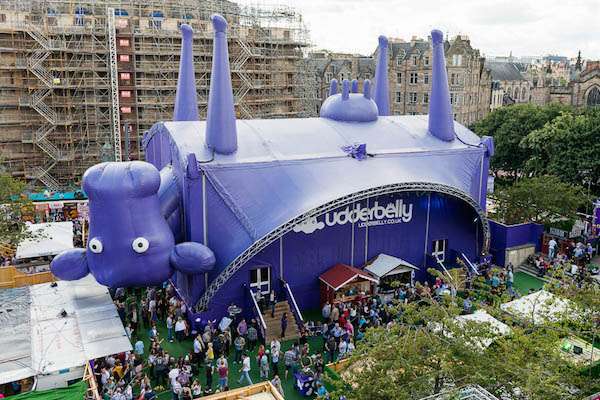 A business profile for the company claimed that their ticket sales at the 2016 Edinburgh Fringe were 250,065, and their 2016 box office turnover was £2.5 million. Others have calculated that last year 422,120 tickets were sold across twenty-two venues and four sites (at an average of £20 per ticket, that would add up to £8.4 million in one Festival). They operate around the world and have taken over Hogmanay, as well as events at the South Bank, Hong Kong, Christmas in Leicester Square, Christmas in Edinburgh and more. The result is a super-bland cultural experience that erodes the local economy – but the idea that this not big business, that the Edinburgh operation is not a huge commercial event lacks credibility. Of course it’s true that the festival has venues and producers of all different sizes, but it is, no doubt, a cash cow. The Fair Fringe was founded by young socialists, in coalition with the union Unite and Better Than Zero, a campaign which organises against zero hours contracts. It consists of a petition and open letter, and calls for the Fringe’s “big 4” venues – Pleasance, Underbelly, Assembly and the Gilded Balloon – to sign up to a “Fair Hospitality Charter“, which lays out demands around pay, breaks, trade union access, sexual harassment, tips and more. It would be an easy task for the Edinburgh Festival Fringe to take on this charter, insist that venues abide by it and begin to rebuild some of the trust and dissipate some of the anger that has developed between residents of the capital and the businesses that profit from the events. Under McCarthy’s leadership that shows little sign of happening. Shona McCarthy really should be considering her position. Graeme, I agree this should not be happening in 2019. Ms McCarthy appears to have the self-awareness of a puddle – a real asset in her line-of-work, of course. I wonder what Ms McCarthy gets paid? Would financial ruination of the Festival Fringe be a bad thing? Perhaps a smaller, more equitable and fairly managed organisation would emerge. Got to laugh at these Eton-educated “entrepreneurs” and their “business” acumen. Any idiot can make money if he employs slave labour. These clowns don’t actually have a business. What they have is a scam. And that Shona one? She’s meant to be all arty and creative and yet here she is attacking workers for damaging the bottom line of multi-million businesses? Would make a good wee play that story. Time for a mass boycott of this diseased corpse of a festival. How about a “Fcuk The Fringe Falkirk” alternative bash? Have it in July, so Scottish school weans & their parents can go. Use the Kelpies, Canal, Falkirk Wheel as venues along with the town’s many excellent parks. You would make your case better with a more accurate and less muddled article. As reported, Shona McCarthy did not say that “a campaign targeting poor treatment of workers in venues is threatening the event’s future.” What she said, as reported, was that [it – though the ‘it’ she is talking about is not given verbatim ] would see the end of the Free Fringe strand of the festival. That’s a small part of the fringe and the model for it has little or nothing to do with the larger part – though I don’t doubt that what she says is correct. And where did the Book Festival enter the discussion? It has nothing to do with the fringe and Shona McCarthy has nothing to do with it. Your conjecture on average fringe ticket prices is a gross overestimate which suggests you never bought one. Indeed you seem to know little about the fringe or the festival more generally except that you don’t like it. “The result is a super-bland cultural experience that erodes the local economy.” How on earth can you make such a stupid statement? Ask anyone involved in the arts to comment, or any economist, whatever stance they might have on the issues involved, and stunned laughter will impede coherent reaction. I don’t have any skin in this, and you shouldn’t suppose that I do not support efforts for volunteers to be better and/or more transparently paid.Nor do I disagree that, financially, the fringe probably benefits large venues better than other participants. But let’s be clear, if you have evidence that staff – you say staff – are not paid according to the law of the land – well then you know what to do. In fact, you would do well to heed what Shona McCarthy says, and recognise that the issue deserves measured debate. Not the retarded adolescent histrionics better left to the occasional fringe event. “I don’t have any skin in this” aye pal, barry pal, nae bother gadgie. Hi Alan – thanks for your comment. I’ve been going to the Fringe for a very long time and I love both it and Edinburgh. The idea that the Free Fringe would end by stopping exploitation has been rubbished by those involved and may be the subject of a further article. My reference to the super-bland cultural experience eroding the local economy comes from direct testimony of businesses undermined by the importation of the ‘Christmas’ experience traders that are part of the Underbelly franchise. If you look at past articles both people involved in the arts and economists reach exactly the same conclusions as I do. I have spoken to the journalist who spoke to McCarthy and I am very happy that these statements are verbatim and accurate, otherwise I wouldn’t have written them. As for the issue of staff not being paid properly – this is the subject of several well researched and widely reports cited in my piece. You’d do well to follow the referenced links and aquaint yourself with the (frankly disgraceful) facts before leaving such an ignorant comment. Not sure that calling a reader ignorant in a post made at 12.26 am is wise. Goodbye. Ive worked the festival 16hr shifts scant breaks £200 a week 3-4 days a week less than £4 an hour 1 ticket for each show paid for my tech services for that show as did my counterpart on the opposite shifts. Never slaved again for the fringe after that and the main company in charge was named above. Its not right that people should work for profit making organisations at such rubbish wages, i know that pay has not moved to much more as there is some sort of camaraderie amonst festival folk, but this should not be used as a tool for exploitation. In 90% of the festivals venues which lets face it its rare to see nobody at a performance when the city is filled with people there just to see the festival official or fringe and prepared to part with cash for tickets. Venues and although ive not worked for c venues i have heard from many people they are the worst paid/hours/accommodation/conditions of the festival. So to my mind if its a buisness with the kind of turnover in a 5 week period, the staff should be paid and looked after, or maybe we should promote an exploitative festival in our capital. Most other festivals get volunteers by giving free entry for a few shifts but not ridiculous hours and usually with meal breaks and catering, but this would obviously be detrimental to such as the fringe. I’ve organised over 700 events across the globe. I am an event consultant and I attend as many events as possible, learning and observing. It’s clear that the fringe festival is more about profit than most European city wide festivals. Barcelona, for example, has nothing of the size of the fringe (famously nowhere has) but it has a week long La Mercé festival where a vast majority of performances are free. The vast majority of fringe festivals are not free. The reason for this is simple. It’s down to the objectives. Amend the objectives and you change an event. An objective for the fringe could easily be to redistribute the profit by paying the living wage across the festival. It lacks only the desire to do it. Spot on, William! The Fringe needs to amend its objectives and develop a modern set of metrics of success and sustainability. It has been getting away with measuring its success in terms of ‘bums on seats’ for far too long. We came to the festival and tattoo for the last time last year. It will be our last visit. Rocketing prices for accommodation for both visitors and performers have killed it. It’s become a cash cow, and the spirit and enjoyment has leeched out of it. Edinburgh has become just far too expensive to visit any more, even for those of us who are fortunate enough to afford it. We’re taking our money elsewhere! Greed is killing your city. I am a theatre maker living and working in Scotland and have been taking shows to the Fringe for two decades. I also train theatre students many of whom work in the Fringe and much of what they describe and I have observed chimes with this article. From my experience I would say that venues come in two types – those who go by the book and those who see what they can get away with. Both Equity and BECTU need to be asking for a thorough investigation into the working practices across the Fringe which at their worst are, frankly, dangerous. But, in my view, the article conflates two types of exploitation. The first is the exploitation of artists – many of whom are just starting out. The Fringe is billed as an opportunity to sell your work and get more exposure. Even for very experienced, fully funded companies this is a struggle. The Fringe is a giant trade fair and when used well can, and does, yield results – but you have to be well connected and extremely expert as a producer to make use of this. The reality for most artists is poor sales and a huge expenditure for little gain. This expense lies with the vast amounts of money venues charge companies for a slot. This is in addition to the hard costs attached to inflated accommodation for the company and price hikes in food outlets in town. No one will recoup what they spend and as very few companies producing Fringe shows are subsidised, most artists are paying a fortune to take part in something which is unlikely to yield the result they hope for. The second type of exploitation is that of venue staff many of whom are working 15 hour days, or doing “voluntary” contract work as described in the article. How comfortable would the middle class audiences be, if they realised whilst sipping their fair trade coffee that the young person taking their ticket is being paid under the minimum wage and has no union representation or protection? On a simple health and safety level you can’t have people rigging, opping and doing turn around safely if they’ve been working 10 hours straight. I have supported many of my students doing Free Fringe shows and in my view the Free Fringe is the most interesting and dynamic thing to have happened in Edinburgh for years. The venues are messy and a bit dodgy at times but no one is paying 1000 to use them for an hour and every company I know working this way has recouped their full costs. The Fringe has begun to eat itself in my view. I once described it on a BBC interview as a perfect example of the most brutal kind of capitalist model. I stand by that. If The Fringe wants to survive it needs to help halt the view that it’s a gravy train for the privileged few. Theatre in the U.K. is currently in a period of urgent soul searching in relation to the lack of inclusion it is all too acutely aware it has been guilty of. Just glance through The Stage and you’ll find another article about a new campaign or initiative to extend diversity and opportunity. The Fringe is a big player in the wider arts ecology of not only Scotland but the world. It needs to get its arse in gear and lead the charge rather than limping along in the rear trying to keep the dinosaurs fed and watered. Thanks very much for the comment Kate – I do agree that there is two types of exploitation going on here. I have no affiliation with summerhall, can agree that it feels more like what the good old days should have evolved in to, rather than the Burger King fringe in the centre of town, some good points you make. good luck this year. That fair fringe charter is so mild, it’s almost beyond belief that it could provoke such a reaction. One upside of this is that it gives Fringe-goers a new filter help decide from the 1000s of shows on offer. Not signed up to the FFC? Then not going to your venue. Indeed. We need Fair Fringe badging of shows. That should start to weed out the pop-up bar barons and public school profiteers. During the late 80’s early 90’s I remember seeing amazing small productions by artists from the soviet block, these were attended by 20 to 40 people, some of the best theatre I have ever seen, the fringe was a small scale operation and any volunteer’s were doing it because they were part of the scene, it wasn’t industrialised, it didn’t have corporate sponsorship, it was still a Fringe festival. Zoom to today, a few years back I was doing tech, on back to back shows 11am till usually midnight or 1am, for £100 a day, I was one of the lucky ones, as the FoH staff had part voluntary contracts and were handling hundreds of at raging audience members, 12+ hours a day, before signing up they had the idea there would be enough staff to cover, so that they could also enjoy the festival and see shows at their venue for free, well there was no time for that, if I remember correctly they were on about £1/hr average, for many sell out shows, and if they quit this would forfeit any money earned, many did in the 2nd week.. a lot of money is being made here, this isn’t the small scale underground, doing it for the arts days of the past anymore, this isn’t acceptable. The vacuous disnyfying of the festival is starting to become so plastic that people do see through it, eventually Edinburgh’s intrinsic allure will wear off, what will be left is fake plastic nothing, this especially as the architecture of the city is being eroded by crimes against the retina, there’s also a whole chapter in here about the monumental waste generated by the festival, at least in terms of flyers, posters and other promotional material, yes I have been involved in the disposal of this Fringe excrement once the circus has left town. The fringe brings opportunity for some and sustains many businesses for the rest of the year, yes there are still great things to be found, but 🙂 culturally it is a vortex where Edinburgh is a receding ocean of culture during the rest of the year, permanent venues have been swept aside to accommodate the ‘Big Boys’ as they pay more for a month than you can extract from a local venue the rest of the year, as always money makes the decisions this is why government, council or someone? need to make the rules. I remember that too. In the 1990s there were some great musicians and acts from Eastern Europe on the Fringe, notably at Cafe Graffiti. There is now much less variety and originality on the Fringe than there was then, and it is less international. The offering at today’s big corporate venues is bland and predictable in comparison. Bring the Festival tae Glesga…but no’ McCarthy..she widnae survive…. Ok we don’t have a spectacular castle but there’a always the Glesga Green..oh an’ George Square..widya think? I have been a performer and promoter at the fringe for 10 years. I have seen it from the inside in detail. There will never been a move by the council to force the Fringe Office to change because certain members and former members of the council are heavily on the take. The amount of bribes we have been asked to give in order to expedite licences and open up new venues was mind bending. (Only when we got lawyers involved did these mysterious fees quickly disappear. However that meant we were shut down on several occasions on spurious and quickly overturned ‘safety’ or proceedural matters. ) On top of that many fly by night operators pop up running cash-only venues sometimes in council owned buildings via the same system of ‘brown envelope approval.’ It is the most corrupt place I have ever come across, very difficult to do business there without back-handlers. Remember also, the vast majority of the comics go home in debt and these major venues are still very slow to pay out the tiny proportion of ticket price which is due to the performer. We are all afraid of saying these things out loud because we know venues will black list us. It’s not just Edinburgh where Council officers are on the take and demand cash for the granting of licences. Demands for bribes from council officials is widespread throughout many councils in Scotland. And it is not restricted to the issue of drinks or venue licences . A legacy maybe of the decades of Labour misrule but the big question now is why the SNP government ignore it like their Labour predecessors before them. But back on topic there are no grounds whatsoever to underpay people save for the underlying ethos of no minimum wage, zero hour contracts, all wrapped up in disappearing social security protection. Should we start a change. org to demand fair conditions? Well that’s an utterly disappointing article about an enormously important topic. Mike, I’ve read a lot of your other articles that have given a fresh and informative analysis of the reality behind official interpretation of facts and the manipulation of facts that we are being spun. I don’t always agree with your conclusions, but it makes us question what we are being spoonfed. But this article isn’t helping the low paid workers at the festival, it isn’t helping the hundreds of venues and performers and staff and technicians who have nothing to do with the big 4 (or 5 if you include C venues) . It certainly isn’t helping the Fair Fringe Campain. It’s about time an organization was created to negotiate for the rights of workers and performers and all those involved in the festival as there are parts of it that are led by profit as much as creativity and as these businesses have developed the models for their staffing should develop too. If you run a venue based on good will and volounteers and quid pro quo of accommodation, free access to shows, discounts on food and drink, because you cannot offer full pay and still break even, then the demands placed on that staff are very different than the demands placed on staff to process large numbers of high paying public, represent a professional organization that has a customer expectation of service and serve as many people as possible in as short an amount of time to maximize profits. These workers should have someone to talk to and stand up for them if they feel they are being exploited. But you’ve simply used their campaign to voice your own opinion of the festival and to attack Ed Bartlam and Charlie Woods. Who you clearly have an issue with as part of the problem with the very real social issue of the disneyfication ‘ of Edinburgh. Whether you are right or wrong, it’s a cheap shot to use this important campaign and the very real need for accountability to attack them. The headline for your article reads ‘Paying People Properly Will Ruin The Festival says Fringe Boss’ with a picture of Ed and Charlie’ . Nobody actually said that did they? Otherwise it would be a quote and you’d assign it to the actual person who said it. Shona didn’t, Ed and Charlie didn’t. In fact Ed and Charlie aren’t quoted at all here, neither are any of the other producers of the big four ( Karen Koren isn’t even mentioned, strange not to get her opinion as a local ) . In fact you only quote Shona Mcarthy out of context inserting one or two words into your sentences. Surely if she was so dismissive of the campaign you could have used one or two of her whole sentences on the subject. Or maybe s whole sentence from a representative of the fair fringe campaign and perhaps their name? In fact the only things you have quoted mostly in full is a secondary source of workers comments from vice and the response from Beter Than Zero. Do you know what the response from the big 4 was to the request for them to sign up to the charter? Who decided the elements of the charter. Could all the pubs and restaurants and cab companies and cinemas and chip shops sign up to it? Could Bella Caledonia? I doubt many of them could. I have performed at the Edinburgh festival for 15 years and I have seen with sadness the commercializations, I have seen locals loving it, and locals hating it, I’ve seen them profiting from it and during the rest of the year struggling. I’ve seen staff broken by the long hours and loving every minute of it and returning year after year. Young staff from all over the world. But it’s not them that define whether or not we need a fair fringe campaign or not. It is for those too young or too nervous to speak out, when they are not being treated with the proper consideration and respect. It is our responsibility as producers, performers, venue managers, venue owners, audience members and especially the fringe office to give them the consideration and respect to listen to their concerns and how their basic rights have been eroded. And to work together to instigate, carry out or demand change. Shame on you. You should know better. And Editor, if someone gives a measured yet critical response to an article, don’t call them ‘ignorant’ , it just makes you look like an idiot. Hi – thanks for your comment. I’m not sure how the article isnt helping low-paid workers, we spoke to and quoted from the key trade union organisations campaigning for better conditions and we quoted (verbatim) the Fringe Society’s CEO – and we were also very particular to double check with the relevant journalist that these quotes were accurate, as we thought they were so extraordinary. The title of the piece is a very accurate reflection of the point McCarthy made (under no pressure and apparently repeatedly). Ed Bartlam and Charlie Woods from Underbelly are referenced in the article because they have been central to controversy about exploitation at their Hogmanay events and they are relevant in terms of McCarthy’s argument that the festival is not “big business”. I feel (and deserve) no shame but am glad to defend workers rights in the festival. Apologies, for reposting and thanks for your considered response. I don’t think you can claim to quote the CEO of the festival verbatim if you only take single words from her statements. However that is of course semantics because those words are quoted verbatim. I am glad you are supporting this campaign and you are right to highlight the need for companies making large profits to behave properly towards their employees. I look forward to seeing how the big 4 respond and how the campaign progresses. Oh and I’d be happy to bring my show to the Falkirk Festival! We will be working with Fair Fringe and Better than Zero and fully support their campaign to have a charter of workers rights. Do send details of your Falkirk show! Well that’s an utterly disappointing article about an enormously important topic. Mike, I’ve read a lot of your other articles that have given a fresh and informative analysis of the reality behind official interpretation of facts and the manipulation of facts that we are being spun. I don’t always agree with your conclusions, but it makes us question what we are being spoonfed. But this article isn’t helping the low paid workers at the festival, it isn’t helping the hundreds of venues and performers and staff and technicians who have nothing to do with the big 4 (or 5 if you include C venues) . It certainly isn’t helping the Fair Fringe Campain. It’s about time an organization was created to negotiate for the rights of workers and performers and all those involved in the festival who are being unfairly treated. There are clearly now parts of it that are led by profit rather than solely by creativity. As these businesses have developed the models for their staffing should develop too. If you run a venue based on good will and volounteers and quid pro quo of accommodation, free access to shows, discounts on food and drink, because you cannot offer full pay and still break even, then the demands placed on that staff are very different than the demands placed on staff to process large numbers of high paying public, represent a professional organization that has a customer expectation of service and serve as many people as possible in as short an amount of time to maximize profits. These workers should have someone to talk to and stand up for them if they feel they are being exploited. But you’ve simply used their campaign to voice your own opinion of the festival and to attack Ed Bartlam and Charlie Woods. Who you clearly have an issue with as part of the problem with the very real social issue of the disneyfication ‘ of Edinburgh. Whether you are right or wrong, it’s a cheap shot to use this important campaign and the very real need for accountability to attack them. The headline for your article reads ‘Paying People Properly Will Ruin The Festival says Fringe Boss’ with a picture of Ed and Charlie’ . Nobody actually said that did they? Otherwise it would be a quote and you’d assign it to the actual person who said it. Shona didn’t, Ed and Charlie didn’t. In fact Ed and Charlie aren’t quoted at all here, neither are any of the other producers of the big four ( Karen Koren isn’t even mentioned, strange not to get her opinion as a local ) . In fact you only quote Shona Mcarthy out of context inserting one or two words into your own sentences. Surely if she was so dismissive of the campaign you could have used one or two of her whole sentences on the subject. Or maybe a whole sentence from a representative of the fair fringe campaign and perhaps their name? In fact the only things you have quoted, mostly in full, is a secondary source of workers comments from vice and the response from Beter Than Zero. Do you know what the response from the big 4 was to the request for them to sign up to the charter? Who decided the elements of the charter. Could all the pubs and restaurants and cab companies and cinemas and chip shops in Edinburgh honestly sign up to it? Could Bella Caledonia? I doubt it. I have performed at the Edinburgh festival for 15 years and I have seen with sadness the commercialization of a unique and important part of the performing arts world. I have seen locals loving it, and locals hating it, I’ve seen them profiting from it and during the rest of the year struggling. I’ve seen staff broken by the long hours and loving every minute of it and returning year after year. Young staff from all over the world. But it’s not them that define whether or not we need a fair fringe campaign or not. It is for those too young or too nervous to speak out when they are not being treated with the proper consideration and respect. Shame on you for using their plight to pursue a personal attack on two English producers. You should know better. And Editor, if someone gives a measured yet critical response to an article, don’t call them ‘ignorant’ , it just makes you look like an idiot. Ah the joy of reading such an ill-informed opinion. It’s hard to know whether you are willfully ignorant or simply incompetent. Having worked a couple of Underbelly events, including the most recent Christmas, I stand in good position to correct your poorly researched piece. No staff had zero hour contracts. Either part time or full time – 15 or 30 hours a week minimum. BUT why don’t you go after local permanent businesses too? Any ‘public facing/hospitality’role during Fringe is VERY hard work. If you work in a cafe, shop, bar, pub or nightclub year round for minimum wage you will be working twice as hard for the same money, how is this different and not warranting a place in your campaign? You may work somewhere where people tip, you may be working in a fast food takeaway where unfortunately this doesn’t happen. Trust me, having worked the Fringe both for temporary events and as part of a ‘permanent’ job – EVERY day/night is like a very busy Friday or Saturday at any other point of the year – ie. It’s crazy, and we all deserve more money! I just take issue with your blinkered view of this where your personal politics removed from people’s day to day lives has taken precedent. How many people travel home after midnight every night of the year? Why aren’t you campaigning for these people to have year round transport? You don’t care enough to fact check your claims, and you certainly don’t care about anything that sits outside your ‘hate big business’s world view. It’s sad and pathetic. If you are going to do this, and again I support the goals on the whole, step back and come at it with a little perspective. Otherwise you just look ridiculous. Do you have any idea how many staff return to work the Fringe every single year? I should add that unpaid trial shifts are a pet hate for me too. Yes to an hour or two for the hospitality industry, but it shoud only be longer if they are committed to giving you the job AND paying you for whole shift. I trust you will reply these points and perhaps admit your lack of knowledge leading to frankly shoddy journalism that reads like a mish mash assortment of ill-informed facebook comments strung together. A cunning reply. You are hilarious and a joke. I see the art of correspondence and debate is entirely lost on you. If this is your profession I’m embarrassed for you. If this represents the height of your ability to converse I pity you. If you manage to get all the Fringe workers a pay rise perhaps we can all chip in and hire you a fact checker and some extra schooling, although you’re probably too unashamedly ignorant for it to do any good. Look – your comment just doesn’t relate to anything I’ve actually written so it’s impossible to respond. Sometimes you just approve comments because they are so dumb there’s nothing else to do. Yours fell into that unfortunate category. Dont worry I can answer that one.